Design optimization is the search for a structural design that is optimal in one or more respects. In all the various methods available for optimization, the design is guided to satisfy operating limits imposed on the response of the structure, and by further limits on the values that the structural parameters can assume. The power of numerical optimization is its ability to rationally and rapidly search through alternatives for the best possible design(s). Parameters in a design that can be varied to search for a “best” design are design variables. Given these, design can be structured as the process of finding the minimum or maximum of some attribute, termed the objective function. For a design to be acceptable, it also must satisfy certain requirements, or design constraints. Optimization is the process of automatically changing the design variables to identify the minimum or maximum of the objective function while satisfying all the required design constraints. For a roundup of commercially available optimization software, see last week’s post. Shape optimization—Optimizing structural shapes by adjusting the surface shape of a 2D or 3D solid to minimize volume while satisfying stress and/or displacement constraints (generically termed a cost functional). In many cases, solving the functional consists of solving a given partial differential equation defined on the variable domain. Size optimization—Modifying size-related properties of structural elements such as shell thickness, beam cross-sectional properties, spring stiffness and mass to solve the optimization problem. Topology optimization—Optimizing material layout within a given physical design volume, for a given set of loads and boundary conditions, so that the resulting layout meets prescribed performance targets. 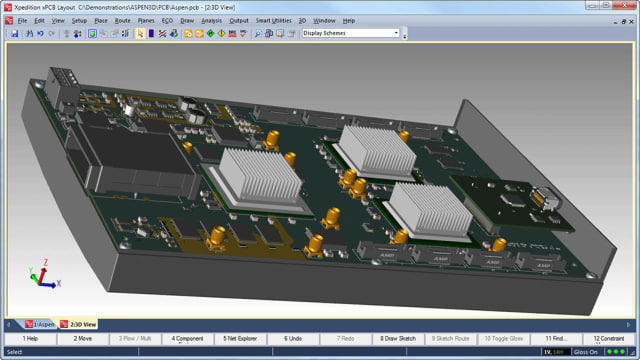 This is often used to identify a conceptual design that best meets specified design requirements, which is then refined for performance and manufacturability. It frequently yields biomorphic-appearing shapes better suited to additive than subtractive manufacturing, before being modified for conventional manufacturing methods. Parameter optimization—Selection of parameter values that are optimal in some defined respect, such as minimization of a specified objective function over a defined dataset. Multidisciplinary optimization (MDO)—Allows incorporation of all relevant disciplines—structural (linear or nonlinear, static or dynamic, bulk materials or composites), fluid, thermal, acoustic, NVH, multibody dynamics, or any combination—simultaneously in an optimization problem. By exploiting interactions among the disciplines, this approach can identify design solutions that are superior to those arrived at by optimizing each discipline sequentially, not to mention the savings in engineering labor and schedule. Multi-objective or Pareto optimization—Real-world optimization problems usually have more than one objective. In optimizing a structural design, for example, the desired design would be both lightweight and rigid. Because these two objectives conflict, a tradeoff must be made: There will be one lightest design, one stiffest design, and an infinite number of designs that are some compromise of weight and stiffness. The set of tradeoff designs that cannot be improved on according to one criterion without harming another criterion is called the Pareto set. For the example given here, the curve plotting weight against stiffness of the best designs is termed the Pareto frontier. A design is judged to be Pareto-optimal, Pareto-efficient or in the Pareto set if it is not dominated by any other design. If it is worse than another design in some respects and no better in any respect, then it is dominated and is not Pareto-optimal. Once the Pareto set has been identified, the action of comparing the various Pareto-optimal solutions to choose the preferred solution for the specific case under consideration is based on exogenous factors (outside the computer model), and is carried out by human decision-makers. Future posts will look at parametric vs. nonparametric optimization, stochastic studies for robustness and reliability optimization, and the mathematical techniques and algorithms underlying optimization software.